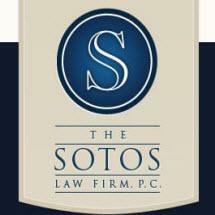 James G. Soto's & Associates, Ltd. opened its doors on October 1, 2005 with a mission of providing the highest quality litigation services commensurate with large Chicago law firms at far more competitive suburban rates. James Sotos and three excellent associates, Beth Elk, John Tambo, and Sara Cliff, bring over forty-five years of litigation experience to the new venture, and the firm is already handling a wide variety of complex and high profile litigation matters for public and private sector clients alike. By relying on the latest in computer technologies, while maintaining manageable overhead and emphasizing efficiency, JGS & Associates has quickly demonstrated a seamless ability to aggressively handle even massive litigation matters at affordable rates. Also in the firm's employ are three associates, Christina White, who joins the firm after a two year stint as an appellate clerk to Judge Marc Amy of the Third Circuit Court of Appeals in Louisiana; Julie K. Bisbee who clerked for the General Counsel to the Chicago Teachers Union; and Elizabeth K. Barton who was the Candidacy Editor on The John Marshall Law Review. Ms. Barton also participated in the Willem C. Vis International Commercial Arbitration Moot in Vienna, Austria. The firm is led by James Soto's, who possesses over twenty years of experience representing public and private sector clients in federal and state litigation at the trial and appellate levels. During that time, Jim has distinguished himself as one of a small number of attorneys who has argued two cases in the United States Supreme Court, and he has achieved an enviable rate of success in the area of Illinois governmental and governmental official litigation. JGS & Associates handles litigation on behalf Illinois municipalities and officials, and private sector clients, throughout the State of Illinois. We are conveniently located in Itasca, Illinois, just 40 minutes from Chicago's loop and 20 minutes west of O'Hare airport, and just two minutes from the Elgin O'Hare expressway, and I-290.